© 2018 Center for Taiji & Qigong Studies: all rights reserved. Both ordinary experience and science tell us that our ability to shift our weight during standing and walking declines as we age. The inability to shift weight is a good predictor of falling in daily life. The maximum distance a person can shift their weight in any direction without losing his or her balance or needing to take a step to prevent falling is called the limits of stability. Our ability to shift our weight within those limits is what movement scientists call our functional base of support. Unfortunately, as we age our functional base of support has a tendency to shrink. The decline is so trivial on a daily, monthly or even yearly basis that we never notice it until we reach an elderly age. The good news is that with clear intention during Taiji and Qigong practice, we can maintain, or even reverse the loss in, our ability to shift weight in all directions. One unique outcome from practicing traditional Taiji with a pushhands-component is increasing the functional base of support in the context of neutralizing external force from another person. Combining my experience in practicing and teaching pushhands and, research on balance, I recommend the three things below to quickly improve your ability to shift weight. 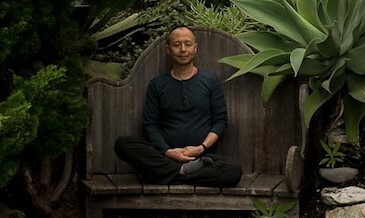 Develop relaxation in standing, sitting, and lying down meditation. The more relaxed you are, the bigger the distance your weight shifting can be. When you perform certain movements, purposely increase the distance of your weight shifting in forward/back, sideways, and diagonal directions without compromising your posture. Taiji movements provide unlimited opportunities to practice all directions of weight shifting. Practice with a partner. Have them support your forearms on top of theirs and gently, slowly have them move your body forward and back, side to side, gradually and randomly in all directions. Then you reverse the roles with your partner so you can experience how to initiate weight shifting and expanding the functional base of support in all directions. This exercise helps both of you explore the limits of your stability in a safe manner, as your partner is there to catch you if you lose your balance. It can be done with eyes open or closed, depending on your base-line level of balance and level of confidence. This practice is not only for an average person to improve balance; traditional Taiji practitioners, you can realize a quick improvement in your pushhands-outcome by improving this essential balance component. I wish you good practice and good balance.